All adverts are free and must be submitted to Colin for approval and entry by the last Thursday in the month for website publication for the whole of the following month. All adverts must specify either 'FOR SALE', 'WANTS' or 'EXCHANGE'. All adverts will be deleted from the website on the last day of the month. If you wish to re-advertise you must re-submit by the last Thursday in the month. 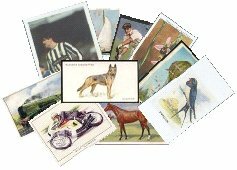 Disclaimer: East Anglian Card Collectors Club is not responsible for any incorrect information included in advertisements. It is the responsiblity of the member concerned to supply the correct information.